For a number of years a significant number of Knights, Dames, Auxiliary, and related family have been regular volunteers at the All Saints Soup Kitchen in Royal Oak, MI. Their principle activity has involved contributing to the purchase of the food, preparing the dinners, and serving them to needy individuals, as well as families. This is not a cafeteria approach; the volunteers actually bring the dinners to the individuals seated at their tables, reminiscent of what we believe to have been the way the Knights Hospitaller served the poor and the sick in the original Jerusalem hospital. After dinner they take the time to clean the kitchen and dining area. The St. Leo Soup Kitchen serves a prepared meal five days a week to approximately 100 or more individuals from an area that is one of the poorest in Detroit. The principle work of mechanically talented members of the Order is more in line with the general maintenance of the facility, thus reducing financial demands on the Soup Kitchen’s finances. A major recent example was for several Knights to successfully address the periodic flooding of the facility. Before the resolution of that problem, members of the Order enthusiastically joined in the clean-up of the floods. Finally, members, especially those involved in the adjacent Malta Medical and Dental Clinics, are generous in their financial support of the Soup Kitchen. Angels’ Place homes offer a Christian family environment of love and compassion, coupled with an atmosphere of acceptance, dignity, well-being and the potential for personal growth and acceptance. Angels’ Place was begun by two Dames of Malta and a friend to care for the developmentally disabled. Many Knights and Dames serve on the Board, as companions, and various other volunteer positions. You can find more information here. Each year the Michigan area sponsors an Archdiocesan Mass of Anointing on the Sunday closest to the Feast of Our Lady of Lourdes. Helpers of God’s Precious Infants of Michigan, Inc.
Mr. Dan Goodnow, a Knight of Malta, established this program that seeks to counsel women entering abortion clinics. Approximately 11,000 women per year are counseled. On a quarterly basis, the organization sponsors a special Mass followed by a procession to two abortion clinics where the rosary is recited. More information can be found here. Hope Clinic is a nonprofit interdenominational Christian organization whose mission is to provide compassionate and practical help to those in need, ministering to the whole person and addressing their spiritual as well as physical needs. Hope provides comprehensive medical and dental care to low-income, uninsured children and adults. Hope also provides a range of other services aimed either at meeting basic needs or equipping people with the tools needed to improve the quality of their lives and/or to become self-sufficient. These include a food bank, a weekend meal program, free laundry facilities, and a limited financial assistance program. The clinic was established by Dan and Beverly Heffernan who are a Knight and Dame of the Order of Malta, respectively. A number of the Knights and Dames are active on the Board of Directors and its various committees. The operations are financed by donations from members of the Order, donations of time by various health professionals and various grants and the use of federal and state funds. The Ministry is committed to providing food and clothing to the most severely economically and other otherwise challenged of Detroit’s large population of homeless individuals. From April through October the main activity of the Ministry is providing lunches and bottled water to men and women on the streets and in the parks of the city. In the winter months coats, hats, gloves, boots, socks, and blankets are distributed. In addition, information is provided regarding the totally free services of the Malta Medical and Dental Clinics located adjacent to St. Leo’s Soup Kitchen. Ministry volunteers include homeless men and women themselves who accept and are willing to advance the evangelical spirit that is the driving force of the Ministry. An integral part of the Ministry is a Wednesday morning “Faith Fellowship” held at St. Leo’s Soup Kitchen that is attended by the majority of these volunteers, where a Christ-centered approach to life is shared using a lectio divina approach. 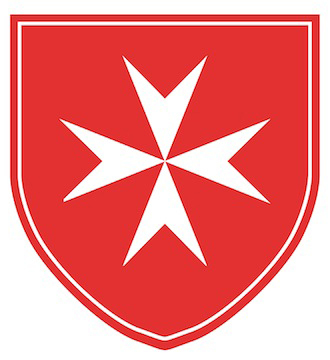 The Ministry was founded in early 2014 by Patrick Jones, a Knight of Malta. Additional information can be obtained by contacting Mr. Jones at 313-418-6176. Every Spring we bring our malades to Lourdes, taking them to Holy Mass, candlelight processions, various religious services, and the baths. We share meals with them and together we become fast friends. Going to Lourdes changes our lives forever. it is one of those rare experiences where one can see and feel one’s own spiritual development. Upon joining the Order it is promised to make the pilgrimage during the first five years of membership. Ideally, members will go to Lourdes during their initial year of formation. Devotion to Our Lady of Lourdes is a key element of the identity of a Knight or Dame of Malta. Malta Dental Clinic is available for four days per month, and it normally stays open for 6 hours per day. In general, our dental patients are triaged, Xrayed, evaluated and, when needed, have their teeth filled or extracted. When appropriate, the patients are provided with partials or full dentures. They are also given, as needed, free pain and antibiotic medications (please note that we do not have any controlled substances and therefore never pass out to our patients a controlled substance of any kind, and for any reason). When available, we provide free tooth brushes and tooth paste to each patient, as well as denture hygiene products. If the patient needs a difficult oral surgery, as determined by our dentists, we refer the patient to St. John Hospital for that procedure. Because of various reasons, we refer some dental patients to other facilities for treatment. The Dental Clinic has no partner relationship, but does refer patients with high blood pressure and other problems to the Medical Clinic for the treatment necessary before the needed dental treatment can be administered. Malta Medical Clinic is available two days per month, and it normally stays open for 5.5 hours each day. Most of our patients have presented with chronic problem such as high blood pressure, high cholesterol and diabetes. We have seen a number of patients for urgent care problems, and we see new patients every month. We try to maintain a family doctor setting. We provide free medications to 95% of the patients seen. We make every effort to stock and provide the medications they need. When needed, we refer patients for blood work and other testing. (Please note that we do not have any controlled substances and therefore never pass out to our patients a controlled substance of any kind, and for any reason.) The Medical Clinic has no partner relationship, except to those patients requiring treatment before dental work can be given by the Dental Clinic. Michigan Area Dame of Malta and veteran journalist Peggy Stanton produces, writes, and broadcasts “Malta Minute with the Catechism”, a syndicated series of one minute segments that seek to inspire individual Catholics by familiarizing the listener with the teachings of the Catholic Church, explaining the what and the why of what Catholics believe. Inspired by the Catechism of the Catholic Church, each addresses an aspect of our Faith. These segments are aired on Catholic radio stations throughout the country and can be accessed anytime here. Mary’s Children Family Center offers day care for brain injured young adults in an atmosphere that is both Catholic and caring with a low ratio of clients to caregivers. The Center is located on the campus of Guardian Angels Church, Clawson, Michigan, in a former convent building which has been renovated and expanded to meet the needs of its clients. This treatment center is the dream of Lud Koci, a member of the Order of Malta and his wife, Trudi. Also hosted by Peggy Stanton, DM, “Power from the Pews” is a weekly, thirty minute programme that seeks to spotlight the activities of committed Catholic laity whose ministries are making a real difference in their parishes and in society. Airing on Ave Maria Radio each Saturday at 11:00 A.M. and repeated each Sunday at 9:30 A.M., past programmes can be accessed anytime here. Founded by Dan and Rosemary Kelly, members of the Order of Malta, Rose Hill Center offers a comprehensive psychiatric treatment program for adults with serious mental illness. In a residential setting on a 400 acre campus in Southeast Michigan, Rose Hill provides people with the insights, tools, and medications they need to manage their symptoms, achieve their highest level of independence, and move on to lead rewarding lives. The highly effective program is based on the belief that meaningful activity in a healthy environment helps foster recovery. Important to the program are the therapeutic work options that include farm animal care, housekeeping, kitchen, and horticulture. Members of the Order of Malta serve on the Board of Directors and its committees. Individual members and the Order as a whole financially support its activities. More information can be obtained by clicking here.